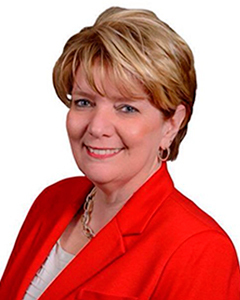 Karen Zalewski-Wildzunas started her career in banking managing several branch offices for First American Bank. Shortly after a merger with Key Bank, Karen moved into commercial lending. She successfully grew a large book of business at Key, focusing on small business clients, becoming an expert in the field. In turn, she was tapped to become part of the management team for Key Business Banking in the Capital Region. Karen also came to be responsible for the Key4Women Team, overseeing and promoting its activities throughout the Capital Region. She led the effort to open the first Key4Women Center on Wolf Road, in Colonie, then a few months later, opened a center on South Pearl Street in downtown Albany. Karen left banking in 2009 to purchase a company called Regalo, a corporate gift giving and crystal awards company. Two years later, she was recruited back to banking, this time with HSBC, which was soon sold to First Niagara Financial Group. Most recently, Karen was a Business Banking Team leader at Berkshire Bank. In November of 2016, she was elected a member of the Schenectady City Council.